Starts at 4:45 Introduction, local and international news, and weather. 20: 00 Joey Hartman – Vancouver and District Labour Council – Translink workers, bus drivers & Seabus operators Unifor 111 & 2200 voted 98% in favour of strike. What is a strike vote? Does it always mean a strike? 37:00 Deanna Ogle – Living Wage BC Campaign Organizer – The Living Wage in BC has fallen, for the first time in the eight years it has been calculated in BC. Why? What does this mean? 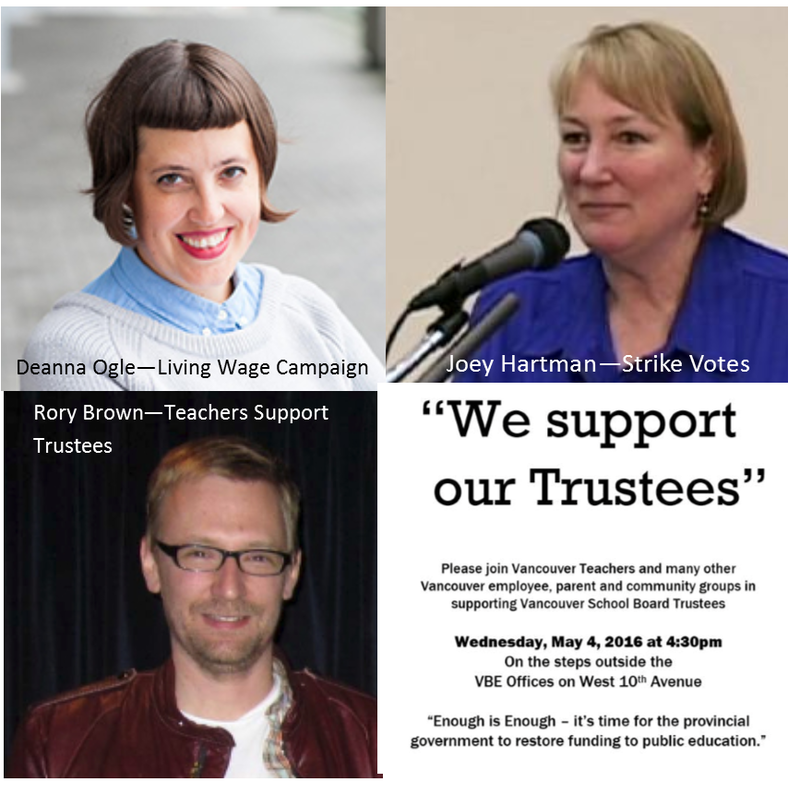 47:00 Rory Brown – Vancouver Secondary School Teachers Association – On the VSB Trustee Vote, impact on classrooms, and why they have organized a rally.